There are many different bodies around the world which award diving qualifications. This table gives a rough guide to equivalent qualifications. It is only a guide though: the qualifications are not exactly equivalent. Please contact your chosen diving agency for their definitive crossover requirements. The maximum depth guides are all on air. Some grades can go deeper than stated with additional training. Any questions or comments? Get in touch. For instructor grades see below. The table uses the CMAS and BSAC qualifications, which are two of the more rigorous training agencies, as a reference point. As a rough guide, if you have a qualification from one agency you will be allowed to enroll in the equivalent next course up from another agency - assuming you have the relevant diving experience. See the references below for more information about individual agencies. The above tables are by no means exhaustive: there are other training agencies and qualifications. If you plan to cross-over training, you may be asked to start a level down from your equivalent qualification. Ask your new agency for advice. American Canadian Underwater Certifications. Formed in 1969. Established in 1980 in Japan. Used mainly in Taiwan, Brazil, Indonesia, South Korea, China and the USA. British Sub-Aqua Club. The BSAC is the governing body for the sport of scuba diving in the UK. It is a club-based organisation that offers training for members through a branch, or intensive courses through a BSAC school. BSAC was established in 1953 by Oscar Gugen. Confédération Mondiale des Activites Subaquatiques (World Underwater Federation of Underwater Activities). Established 1959. No association with NASE or NASE Europe. The DMT Training Group researched, developed and implemented the programmes in the UK and Canada and were the first Agency Accredited by HSE under the updated DWR 1997 Regulations in 2000 and were accredited by HSE in January 2001. Since that time DMT NASE UK has been accredited annually, with new programmes being submitted on a regular basis. The Spanish Underwater Federation. Affiliated to CMAS. Instructor Dive Development. Established in 1992 in Europe with its Head-Office in Amsterdam, The Netherlands. IDD wanted an education which could be used not only in tropical waters or cold European waters, but truly could be used effectively all over the world. International Association of Diving Schools. International Diving Educators Association. Established 1952 as part of the Florida Skin Divers Association. International Standards Organisation. Has three standards for recreational diving - ISO 24801-1, ISO 24801-2 and ISO 24801-3 - which set out the requirements for the training of recreational scuba divers as Level 1 - Supervised diver, Level 2 - Autonomous diver and Level 3 - Dive leader. There are two standards for instructor training: Instructor level one (BS EN 14413-1:2004 and ISO 24802-1:2007) and Instructor level two (BS EN 14413-2:2004 and ISO 24802-2:2007). Level-one instructors can teach and assess confined water skills and theoretical knowledge up to diver level one. Under the supervision of a level-two instructor, they may also teach theoretical knowledge for levels two and three, and may teach any level of diver in confined water, such as a swimming pool. Level-two instructors are qualified to teach and assess students up to diver level three. They can also plan, organize and conduct dives and rescue activities, and lead other divers in open water. International Diving Instructor Corporation. Established in Austria in 2000. LA County Scuba Underwater Programs. First American training agency: established 1954. PADI recognises military diver qualifications as a pre-requisite to many of its courses, but doesn't offer a straightforward crossover. So you could, for example, take a rescue divers course without having previously done a PADI advance open water course. National Association of Scuba Diving Schools: now merged with SSI. National Association of Scuba Educators. American-based. Draws its extensive experience from the fields of commercial, recreational, technical and cave diver training. No association with DMT NASE UK LTD.
National Association of Scuba Educators Europe. No association with DMT NASE UK LTD.
National Association of Underwater Instructors. Worldwide organisation headquartered in America. Professional Association of Diving Instructors. Worldwide organisation formed in 1966 and headquartered in America. Professional Diving Instructors Corporation. Founded in the USA in the 1960s. 2Narcosis Management Level I or Deep Diver speciality inclusion extends depth limit of Advanced Open Water Diver to 30m. 3Narcosis Management Level II speciality inclusion extends depth limit of R.A.P.I.D. Master Diver to 40 m.
Professional Scuba Schools. Conform to the directives of the European Community (EN Standards) and to ISO standards. Rebreather Association of International Divers. Rebreather and open circuit training. Use an e-learning programme. RAID training standards are compliant with ISO Recreational Diving Standards and is accepted by The UK Health and Safety Executive as an approved provider. They also offer Nationally Accredited training in Australia. Scuba and Nitrox Safety International. Scottish Sub-Aqua Club. Founded in 1953. Like the BSAC it is a club-based organisation offering thorough training for Scottish conditions. Scuba Schools International. In the Spring of 1999, SSI merged with the National Association of Scuba Diving Schools. Technical Diving International. Agencies that are accepted to meet the prerequisites for TDI include: IANTD, ANDI, DSATI, SSI, NAUI, NACD, NSS-CDS, CMAS, BSAC and CDAA. Unified Team Diving. Teaches nitrox as standard in Recreational 2 advanced and heliox in master diver. Sources: BSAC Equivalency Chart, BSAC Statement of Alternative TraingingHSE, SDI TDI ERDI, CMAS International Diver Training Standards and Procedures Manual, e-mail from PSAI Europe, e-mail from DMT NASE UK Ltd / DMT Training Group, email from IDD and IADS, CMAS-PADI agreement, BSAC Information for Divers Crossing Over from PADI, SSI, SSAC & SAA, A consumer's guide to the standards for recreational scuba diving (BS EN 14153 and ISO 24801 standards), ACUC crossovers, PADI Instructor Development Course, CMAS 1 star instructor training, SDI, TDI, and ERDI crossover program, email from SDI. If you have any comments or questions, enter them here. I have ten years of commercial diving, surface supplied till 50 mts with the top up course for wet bell diving as well as two offshore seasons. I d like to do a cross over to recreational diving. What would the equivalent level ? It depends upon which recreational diving agency you will be diving with. PADI schools will generally want you to do the PADI advanced course. BSAC will consider you to be equivalent of a Sports Diver - they will not insist you take another course but if you wanted to do so it would be the Dive Leader course. Check with the agency you'll be using what their policy is. This a great guide. I see RAID doesn't have much comparison and I'm looking to do a HSE course for my job. Should I choose an agency that like SDI or PADI? Thanks for getting in touch. Contact the HSE school with whom you plan to do your HSE SCUBA course and ask if they have any preference for which agency you train with initially. Some HSE schools will train you from scratch. Good luck. Thanks for your question. I'm sorry we don't have much information about them but the speciality should be readily accepted. There are so many diving agencies that dive shops are used to seeing many different types of qualification. Curious....can't seem to find info anywhere : Why would a graduate of the College of Oceaneering with commercial experience in nuclear plant and oil rig NDT be required to present a PADI AOW certification to dive recreationally at a resort? What should the response be to such a request? The resorts would be expecting a recreational scuba certification, although not necessarily PADI. They will have little knowledge of commercial diving training. However, for most resorts your experience and the scuba diving you had done recently is more important than who you trained with. At worst they would ask you to do a check dive with an instructor. Thanks for this table, it's very informative. I am a BSAC Dive Leader (50m depth progression), BSAC Assistant Instructor (IFC course), and BSAC Theory Instructor. I have also completed various BSAC SDCs (Nitrox Diver 36%, O2 Administration, AED, Gas Blender Nitrox, Lifesaver, Buoyancy and Trim - Black. You would be able to take the CMAS 3 star course, but I don't think you would be accepted automatically as a CMAS 3 star diver. You can only get a CMAS qualification card from BSAC if you are a UK resident. Contact CMAS and see what they say. I have my Maui Advanced diver from 1977 plus my helium mixed air commercial diving certification I have dived recreationally over 35 years i took a Paudi open water recertification in 2015 Utila Honduras. And made 8 dives I went diving in Hawaii last year and just came from diving on the reefs in Belize. I started with Naui Do I need to get certified in Padi ? Going forward as I will be going to Philippines and asia what about insurance? Thanks for getting in touch. You don't need to get certified in Padi, your Naui qualification will be accepted as long as you have proof that you have dived recently. Same with insurance - check it covers scuba diving to the relevant depth. World Nomads for example cover scuba in their standard policy . Enjoy your trips and let us know how you get on. I am a 2-star CMAS SCUBA Diver. I usually dive in middle east and sometimes in south east of Asia . I am going to emigrate to Australia. so, I want to know whether I convert to PADI or any other agencies for diving in Australia or not?????????? You should have no problems with CMAS - I have dived in Australia on a CMAS card without issue. Good luck with your new life. I am planning to enter this sport is one certification accepted more than the other or is that not even a issue? Most certifications will be accepted around the world. The most widely recognised qualification is PADI, but that is because of their business model. Training with some other agencies is more rigorous. It depends on where you will be doing most of your diving. BSAC training, for instance, prepares divers better for British (and similar) waters with their tides and sometimes exacting conditions. In France and Belgium CMAS is the preferred qualification. Check out your local dive schools and see which you feel most comfortable with. Good luck and enjoy it whichever agency you choose. I went over chart of Instructor's grades. If I can ask you to correct information for public / 1* and 2* is correct, 3* is Course Director and 4* is Instructor Trainer. Thanks for updating it. Active PADI inst from 1991 - 2015 only because everyone wanted it. I transferred many during their open water to others in which I was a referral inst. PADI does not allow any freedom to adapt to environmental and individual concerns. The most relevant issue is quality of the inst not agency. CMAS don't have a central list of all their accredited dive centres, but if you do a Google search for "CMAS dive centre" and your location you should get a list of possibilities. Getting ready to retrain after long absence. And 1 kid wants to learn. Very helpful info. Thank you. Glad to be of use. Good luck with your retraining - enjoy it. Although SSI accept PADI speciality courses, unfortunately the reverse isn't true. Hi Jonathan, assuming you've been diving regularly since then you will have to do a PADI course. Which one depends on your existing level of qualification. Sorry, you've stumped us there. The closest equivalent is CMAS 4 star diver but you will have to get in touch with a CMAS centre to find out the process. You will need to take the next or equivalent PADI instructor course. So if you were SDI Open Water Scuba Diver Instructor you could take the PADI Open Water Scuba Instructor (OWSI) or Master Scuba Diver Trainer (MSDT). You will have to do a PADI Divemaster course. Alternatively, you may be able to enroll on a PADI Assistant Instructor course. How much it will cost depends upon where you do the course. In the UK, for example, a divemaster course costs around �600. I am looking for starting on my diving adventure. In my local agency I have been recommended to take IDEA or SSI. Which one do you recommend? And why? Will I have any problem if I choose IDEA? On contacting French PADI/CMAS centre they advise that Vincent can convert to CMAS 3 without having to do a course and apply for a Nitrox certification, again without having to do any extra course. He would need to pay 50 Euros for each card. An additional 50 Euros is needed for FFESSM (Fédération Française d'Etudes et de Sports Sous-Marins) membership. Get in touch with your local PADI school for their definitive answer. Hi, I'm considering qualifying as a dive instructor - which is a better option for the course provider PADI/CMAS? Or are both equally recognized? If you are planning on working in France then choose CMAS, otherwise PADI. Both are equally recognised but many more dive centres offer PADI training than CMAS, so you will be more employable with PADI rather than CMAS. I have the possibility to do the french level 2 (40m with guide/20 alone) + SSI advanced open water. Will I be able to dive with PADI advanced open water divers ? When you say French level 2 I assume you mean the CMAS 2 star level? If so you can dive to up to 40 m with other divers of your standard. So yes, you can dive with PADI advanced divers. There is no need to also do the SSI advanced open water. No, you need to comply with the Diving at Work Regulations 1997. The HSE SCUBA certificate is roughly equivalent in technical ability to the PADI rescue diver, but you need the HSE SCUBA qualification to dive commercially for golf balls. Did you ever have an Advanced Open Water card? PADI advise that if you haven't received your card within a month to contact the dive operator who certified you. If they cannot help you then contact PADI customer services - customerservice@padi.com for US and Canada; certsdep@padi.com.au for Asia and the Pacific; customerservices.emea@padi.com for everywhere else. We're not sure if there maximum time limit for receiving a card. Will a NAUI certifiate be accepted by dive centres in Europe, which are PADI centres? Yes, a NAUI certificate will be accepted by PADI dive centres in Europe. I am currently a padi advanced open water diver and am looking to move across to saa what qualification would it match with. PADI Advanced Open Water, without Rescue Diver, equates to SAA Open Water Diver. With Rescue Diver it is equivalent to SAA Club Diver. I am currently a PADI Rescue Diver working towards my 5 specialities. I previously had 40plus logged dives as a ships diver in the Navy, can I use these dive numbers towards the pre-requisite of 50 dives for Master Scuba Diver? Hi Paul, yes you can use those dives. GUE certifications is a bit of a rare beast. The table says "all GUE classifications" in the column roughly corresponding to the 40-56 m depth range, yet the basic GUE training - the Fundamentals - only certifies to 30 m, and so does the highly technical Cave-1 class. Diving to 51 m is only taught in Tech-1 curriculum and requires trimix and planned decompression. Thanks for getting in touch. The depths are only for information for each particular qualification, they are not meant to be equivalent across agencies. But you're right - obviously the Recreational Diver 1 and 2 levels aren't be equivalent to CMAS 3 Star. We'll update the table. I am commercial surface supply diver - hse level III (30m), with at least 150 hours dive time. I have read that this level is na equivalent to PADI Rescue Diver, so l could just apply for PADI divemaster directly, is it so? How to achieve such a crossover administratively, please? Via. school/club or PADI association? Do you also have the HSE SCUBA Diver qualification? We think you would need to be scuba qualified before progressing to the PADI divemaster course - check with your nearest PADI school. To get PADI qualified you need to take the next course up - so you would need to take a PADI divemaster course with a PADI instructor. I am looking at doing a Divemaster course or equivalent (Dive Control Specialist with SSI), with the aim to work in Australia following an internship. Is there any benefit or loss of going with Padi or SSI on job opportunities? I currently have offers with both PADI and SSI. Hi Adrian, with SSI you have to be affiliated to a SSI dive shop whereas with PADI you are more independent. In Australia, though, there are lots of SSI shops so there is no disadvantage in choosing SSI. Good luck. Just wondering about how did you rate the equivalency of CMAS 1 Star Instructor (Instructor Level 1�ISO 24802-1) and PADI OWSI(Instructor Level 2�ISO 24802-2)? The CMAS 1* Instructor can only train OWD students and no higher level. Unless the ratings have changed in the recent years. Hi Gary, thanks for pointing that out. We've updated the table. If I have completed my adventure deep dive with SSI and want to now complete the rest of my 4 adventure dives for my advanced open water course with PADI is this okay to interchange between companies? Hi Laura, no - PADI will want you to do the entire course with them. Hello i have diver that showed me a card for Open Water from N.P.O master scuba instructors association from japan from a CI international anybody know this certification? I'm sorry but we've not heard of that one. I'll ask in our next newsletter if any of our readers know any more. I am concerned to know which is the equivalence between the superior certifications of instructor SNSI regarding CMAS. Could you please help me to understand? It is important for me to take decisions about my next future. CMAS is much better known than SNSI and so if choosing between the two I'd choose CMAS. Hi Marcus SSI do issue cards but PADI will want you to pay again and do the specialities with them before you can become a PADI Master Scuba Diver. Enjoy your trip. Hola amigos mi nombre es Jaime Becerra Daz, tengo 24 años y soi de Chile. Estoy interesado en realizar algun curso de buceo y poder trabajar en alguna petrolera, la matricula que tengo solo me sirve dentro de mi pais, para ello estoy pensando en obtener alguna ADCI o algo por el estilo. Me gustaria saber algun lugar donde hacer esto y valores porfavor. Desde ya muchas gracias por su ayuda. Hi Jaime, thanks for gettting in touch. I'm sorry but we can't advise on commercial diving courses. Hi I'm about to start an open water diving course with Bsac after I have successfully completed my 4 open water dives will I then be able to dive on holidays and is Bsac qualifications accepted worldwide the same as a PADI qualification. Yes, BSAC qualifications are accepted worldwide. Plus the early BSAC training is more thorough than PADI so you will be better equipped for diving around the world. Good luck with your training. If some body have a dive master in PADI can be go to the Instructor course of CMAS directly or not? No, you need to be a CMAS 3 star diver to progress to a CMAS instructor, and PADI divemaster is only equivalent to a 2 star diver. Hi, my husband and I are looking to do a beginner diver course as we want to be able to try out (guided) diving on our honeymoon in the Maldives. We were thinking of starting eith the PADI Scuba Diver course but have also been offered a FEDAS course by our local dive centre (we live in Spain) who assure us that it is a more thorough course than the Scuba Diver and that it is internationally recognised. Do you know anymore about this organisation, have any recommendations regarding which course would be better and whether or not FEDAS is internationally recognised? A FEDAS course is more thorough than a PADI Open Water course, and you will be a better diver at the end of it. It is affiliated to CMAS which is internationally recognised. So even if FEDAS is little known the CMAS equivalent will be recognised. Enjoy your honeymoon! Hi, I've lost all my cards I'm not sure what courses I did. How would I go about finding out? You don't say what diving agency you used - if PADI you can go to PADI Diver Replacement Card Application and fill in your details there. Thanks for getting in touch. We don't thing you would be able to use TDI specialities instead of PADI specialities - but check with dive centre with which you're planning to do the master diver certificate. Good luck with your rescue diver course. Hi, I am looking at open water courses in Australia - PADI and RAID seem to be common. I am familiar with PADI but hadn't previously heard of RAID - is it similarly recognised, including internationally? Yes, RAID is recognised internationally. They used to specialise in rebreather training but now offer general courses as well. They are compliant with ISO Recreational Diving Standards which are recognised around the world. PADI recognises hse part 2 as equivalent to a PADI Rescue Diver. To become a PADI diver you will have to take one if their courses, either Rescue Diver or the next one up which is Divemaster. CMAS 1 star diver course final exam the questions change every year or stay the same? It would be surprising if the exam questions stayed the same but we don't know for sure. Sorry. PADI Rescue Diver is 2 stars, so you should be able to enrol in a CMAS 3 star diver course. You can see the CMAS - PADI agreement here. PADI Open water is rated to 40m as an Open Water Scuba Qualification, however most companies will only let you dive to 18 as that was your teaching limit in training. PADI OWSI and MSDT are essentially the same and not one above the other. Only difference is a MSDT can teach 4 extra courses AND has paid PADI an extra 45 USD. I am OWSI and can teach 8 but refuse to pay just to change 4 letters. Thanks for getting in touch. As far as we know you can't take a CMAS qualification online. You might have to get in touch with a CMAS training agency and ask their advice. I am a hse closed bell diver with also hse scuba qualification, is it possible to convert to a PADI certificate? You should be able to do a PADI Rescue Diver or Divemaster course to become PADI certified. But you can't get a PADI certification without paying for a PADI course. Once you've completed your CMAS** you can take a PADI Rescue Diver or Divemaster course to become PADI certified. 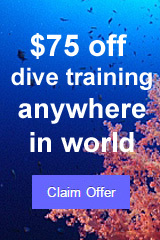 There is no way to get a PADI certification without paying for a PADI course. Thanks for the info. We'll update the site. Yes, you can enrol in the PADI Advanced course. In order to transfer my diving qualifications from CAMS to PADI who do I contact, where do I start? To transfer to PADI you generally have to do the next qualification up. Get in touch with your local PADI school and they will advise you. There isn't an equivalent nowadays as Novice I doesn't include any open water dives. To transfer to PADI, for example, you would have to do 4 open water dives with a PADI instructor and take a Scuba Review, Final Exam and Watermanship Assessment. Good luck with restarting diving - let us know how you get on. I'm planning on doing 2 stars CMAS and after it PADI divemaster. My goal is to be instructor, but I can't get a clear picture about how to get there after divemaster. Can I apply directly after it to 1 star instructor or OWSI? For a PADI Instructor you need to be a PADI Divemaster who has been a certified diver for 6 months, taken an Emergency First Response course in the last two years and logged 100 dives.1 For a CMAS instructor you need to be a CMAS 3 star diver and possess a first aid and oxygen administration certificate. You also need to have taken a Rescue Diver Training Programme and have done at least one hundred dives including night dives, limited visibility dives, deeper dives, drift dives, dives in colder water and navigation dives.2 Good luck with whichever route you choose. Curious question, how come ACUC is not recognized in this list of Equivalent Diving Qualifications from different SCUBA Agencies? Thanks for pointing that out—I've added it to the list. It's not worth you doing a PADI Open Water Advanced as you should be alright with your NDL qualification. You might want to check with any dive centre you plan on using that they accept the National Dive League qualification before arriving there though. Is there any organisation called A.D.A.S International that gives diving certifications courses? Not the Australian commercial one! Hello George, the only organisation we know of called ADAS International is the Australian occupational diving certification scheme. Hello everyone!! I have a big concern regarding this.. i started with CMAS open water, then NAUI advanced, rescue and master scuba and now i�m gonna finish my PADI DIVEMASTER in a week, after that i will go for the Instructor... here is my point, do i need to have all of the others PADI (i mean open water, advanced, etc) ??? thanks!!! Hi Baltazar, no you don't need to do all the other PADI courses. Just the instructor course is fine. Please could you tell me which is the best teaching regime would be best for my 14yr old dyslexic daughter. It's a good question but we don't have a definitive answer for you. It is probably more important to choose a sympathetic dive school rather than which particular teaching regime to choose. Regarding the written tests, it should be possible to have the questions read out to her and to give oral answers if necessary. I'll ask in the next issue of our newsletter if any of our readers have any recommendations. Good luck to your daughter - I hope she enjoys learning to dive. Thanks Steve, we'll update the page. There is such a thing as a CMAS 4 star diver though - details at the CMAS web site. Both should be recognised anywhere, but PADI is the biggest diving organisation all dive schools will be familiar with it. If you were going to dive often in France or Belgium then definitely choose CMAS. CMAS is a more thorough course. You've stumped us there. We'll ask in our newsletter if any of our readers have an answer for you. I've contacted RAID to enquire and am awaiting their reply. The overview contain some wrong information concerning NAUI. All NAUI recreational courses (Scuba Diver, Adv. Scuba Diver and Master Scuba Diver) contain rescue parts. Rescue Diver and adv. Rescue Diver are specialties. An instructor is allowed to conduct all recreational courses and specialties comparable with a CMAS 3* instructor, instructor trainer is allowed to conduct scuba leaders like divemaster and instructors. Adv. Scuba Diver max. 40 mtr. Prerequisites for a divemaster are NAUI Master Scuba Diver and NAUI Rescue Diver. Recognition of prior learning my be applied. Maybe useful for adjusting some information. We'll update the site. Be aware though that several agencies in the table include rescue as standard - we err on the side of caution in our table. 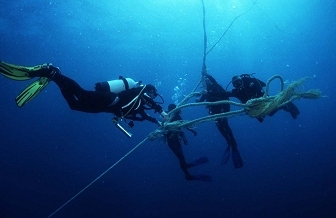 BSAC, for example, require someone has a NAUI rescue speciality before a NAUI qualification can be considered equivalent to a BSAC Sports Diver. Hi, I have a question - I am padi open water advance,(18mths). I am thinking of doing a bsac sports diver course, if i get that , can i go on to do the 2 star padi divemaster? Yes, in that case you should be able to take the PADI divemaster, but contact your chosen PADI diving centre to make sure. Is there any PADI SCUBA certification recognized by IMCA to do DMT course? Which level if any? IMCA stands for International Marine Contractors Association and DMT for Diver Medic Technician. The DMT course is for surface cover team members, who are not diving, to be trained in advanced first aid. To gain the IMCA DMT certification as an offshore diver, you must hold an IMCA qualification (or equivalent) in offshore diving. The equivalent qualifications are for commercial divers, so no PADI courses would be suitable. There are also DAN Recreational Diver Medic Technician courses run for recreational divers, but these are not accredited by the International Marine Contractors Association. To participate in this course you must have the equivalent (or higher) of a rescue diver certification. Is there an organisation called EIND offering diving certification courses, especially in Greece? We haven't heard of EIND and can find no reference to it on the internet. Do you know what the acronym stands for? Hey :) this Website is really helpful, but it left open my question. I have the cmas*, now I am wondering if it is possible for me to do the SSI open water advanced including adventure dives like night dive, current dive, deep dive.. (I think it's like the cmas**? )AND if it is then possible to do the cmas*** regularly back in Germany? Couldn't find any answers to this. You are probably best contacting a CMAS dive centre to check their requirements. Normally you would need the equivalent of CMAS 2 star + Oxygen Administration, Rescue Diver and 50 logged dives including night, limited visibility, dives deeper than 30 m, drift dives, cold water and navigation. Which may mean the SSI Diver Control Specialist level as well as the specialist dives. When applying for the Royal Navy do they have any preference as to which qualification would be best? The Navy run their own training programme - you don't need to already be able to dive. Will the bsac ocean diver qualify you to do padi advanced open water diver with out having to do padi open water course? Yes, you will be able to enroll in the PADI advanced course. Greetings from Greece. All these are very helpful and completely understanding but my finally question is specific. Which certification is "better" for dive master, padi or andi? Unless you want to specialise in technical diving PADI is a better option to choose. I have my NASDS open water certification and am going to take an advance PADI course. Is there any reason they will not acknowledge my NASDS OW certification? There is no reason why they shouldn't, but check with the company you are planning to train with to make sure. We'll amend the table to include the Deep Diver course. Voilà, je suis instructeur OWSI PADI et je certifie mes élèves en leur fournissant des certification PADI, je rencontre parfois certaines requêtes émanant de certains de mes élèves qui désire obtenir l'équivalence CMAS et bien entendu aussi le PADI et je cherche actuellement comment rendre cela possible. En bref, je voudrai leur obtenir l'équivalence de leur certification PADI en un autre brevet CMAS, combien cela me couterait il et comment y procéder? (Which translates as "Well, I'm OWSI PADI Instructor and certify my students by providing PADI certification, I sometimes meet some requests from some of my students wishing to obtain the CMAS equivalence and also the PADI course and I'm currently looking how to make it possible. Not sure what you mean by dive tech. Which to study depends somewhat on where you will be diving. With a program like BSAC you get a more thorough grounding than with a PADI Open Water course, but it takes longer. Find out what is available in your area, contact the dive shops and make your choice. The best thing to do is to contact dive centres in the area in which you are planning to dive and ask what they need. Your recent diving experience is often more important than which diving agency you qualified with. We've added them to the table. I am certified with RAID, but this is not on your table. Thanks for pointing that out Nicole. We'll add them to the table. Regarding diving outside the UK with a hse scuba, this was absolutely no problem for my friend on a recent diving trip to Thailand. Recognised at shops both in Koh Tao and Koh Phi Phi. Is this cross-over list officially world wide recognised? Hi John, You'd have to contact the alternative agency to be sure, but around BSAC Dive Leader with a nitrox speciality. I was wondering, do you know if with my CMAS 2* licence I can take the Dive Master course? Yes, you are at the right level to take the PADI or NAUI Divemaster course. Hi I'm a BSAC Openwater instructor and I would like to know what are the procedures if I want do become a PADI Instructor! Hi Shyam, you can't just transfert to PADI - you always have to do one of their courses. In your case a PADI Instructor Development Course would be appropriate. Thank you for your follow-up regarding the listing. NASE are not operating within the United Kingdom. The programmes listed by HSE and ACCREDITED by HSE are copyright of DMT NASE UK LTD.
NASE Europe is a separate entity and DO NOT have any rights to teach or certify persons in the designated programmes. We have in the past had working arrangements with NASE Europe, but these have since lapsed. NASE in the USA is a separate entity and we NO working relationship with them. The DMT Training Group researched, developed and implemented the programmes in the UK and Canada and were the first Agency Accredited by HSE under the updated DWR 1997 Regulations in 2000 and were accredited by HSE in January 2001. Since that time DMT NASE UK has been accredited annually, with new programmes being submitted on a regular basis. If you review the HSE web site, you will see that only DMT NASE is listed as APPROVED, not the other NASE entities. I would be pleased to provide you with a complete list of the programmes recognised by HSE that DMT NASE offer. As far as I'm aware there isn't a special certificate for disabled divers, but we'll ask on our social media pages and in our next newsletter to see if our readers know of any. You might be interested in an article by Dave Thompson on learning to dive as a tetraplegic which we published in issue 122 of SCUBA News. Dave qualified as a PADI Open Water Scuba Diver. HSE Scuba equates to BSAC Sports Diver or PADI Rescue Diver. You need to contact the dive centre you will be using to confirm that they will understand your qualification. There should be no problem converting to a PADI qualification - but you will have to do one of their courses. Anyone else had experience of using an HSE qualification outside Britain? I have a PDIC certification. Have you ever heard of this? I have heard of it and see it is not in our table - I'll add it. I'm a naui master scuba diver can i crossover to padi.what level will i be. A NAUI Master SCUBA Diver is equivalent to a PADI Rescue Diver. So you would be qualifed to take the PADI Divemaster course. Certified with US Navy Diver Certification - extensive military certification. Since I dive mostly in warm salt water, how do I convert to PADI without going through the entire PADI certification process? You don't need to do the entire process but will need to do one course, for example the rescue diver. PADI will accept your qualifications as a pre-requisite for the course, but will still insist you take it before giving you a PADI certification card. Where is PSAI Advanced Oper Water Diver? I'm not sure about where exactly to place PSAI Advanced Open Water Diver - looking at what's involved I should think CMAS 2 star. I'll contact the PSAI though, and see what they say. It appears that Naui Master diver and SSI Master diver are in the incorrect order. I believe neither of these are professional qualifications. Naui master diver may be accepted as PADI rescue if the rescue components are taught in that course. SSI dive controller and PADI Dive master are equivalant. Can you confirm please? Thanks for pointing that out. We've moved them to a more appropriate position. The listings for SSI don't include the instructor levels and the recreation diver levels are little off. After OW is specialty diver 12 dives and 2 specialties, then AOW diver 24 dives and 4 specialties, then Master Diver AOW plus Stress Rescue Diver and 50 dives. The pro levels can be found on divessi.com to add to your table. Thanks Beth, we'll update the page. This table is very useful for roughly equivalent qualifications, however, I have found that the maximum depth ratings can vary. Has anyone compiled a table with depth limits between the differing qualifications? Good point. We'll look at adding maximum depths. Two BSAC grades are missing: Ist Class Diver (4 star) and National instructor (4 star). Thanks for the getting in touch - we've inserted 2 new columns for the 4 star grades. Does not include the world's first Instruction program--LA Co UW Instruction program; Basic Diver, Advanced diver (100 + Hours,) Instructor UICC, 200 hours. Thanks for the info - we've added LA Co UW. Thanks for letting us know Steve - we've now updated the page. A comprehensive guide to recreational scuba diving. One from the British Sub-Aqua Club. Aimed at those interested in taking up diving, and written with the forthcoming European Diver Training Standards in mind, besides supporting divers following the BSAC system this generic diving manual will also be useful to divers following other training systems. Simon Pridmore, 304 pages, 1 edition (July 17, 2015). Looks at how diving is taught and gives independent, objective advice for instructors and dive operators. It includes a chapter on "Which Training Agency? ", which is a question we are often asked.